For quick, accurate, and sensitive detection of pathogens, the most advanced assays rely on molecular methods such as real-time qPCR. When a single mutation can spell disaster, these assays can discriminate the most subtle difference in genetic sequence. In the food safety industry, modern laboratories are opting for real-time qPCR-based (qPCR) tests over antibody testing because qPCR tests are faster and sensitive to smaller concentrations of pathogen. Real-time qPCR has overcome many obstacles that previously hindered its adoption in food safety laboratories. A combination of technology such as “fast” real-time PCR and automated sample prep dramatically reduces pathogen detection time, sample contamination, and user error. The conversion of existing tests, and the development of real-time PCR assays for new pathogen targets can better prevent contaminated food from reaching consumers. Food safety developers who need high quality components for their real-time PCR assays outsource their oligonucleotide manufacturing to LGC Biosearch to keep costs under control and to free up time and resources toward the implementation of molecular tests. LGC Biosearch synthesizes consistent, reliable, high quality oligos to support assay development, from design and optimization through full-scale commercialization. 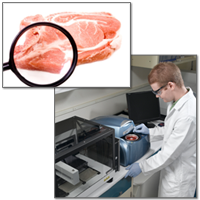 Expertise in sequence design, oligo applications, customizable manufacturing processes and access to IP are just a few features that LGC Biosearch offers to food safety test developers. Our proprietary robotics have the capacity to rapidly synthesize thousands of oligos, giving developers what they need, when they need it. 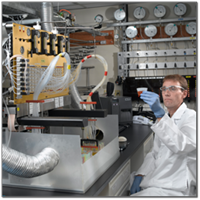 As part of our contract manufacturing services, LGC Biosearch embraces a comprehensive quality system. We realize that every situation is different, so we offer different levels of documentation and customizable quality specifications to meet the requirements of your assay. If you have any questions on how Biosearch can help you with the development of your food safety test, email info@biosearchtech.com or call us at 1.800.GENOME.1(436.6631) and we will be happy to answer any questions you may have.